The House of Israel is one of the 32 exposition cottages that make up the House of Pacific Relations located on the beautiful grounds of Balboa Park, San Diego, California. Opened in 1948, we are the first public building in the U.S. to fly the flag of Israel! As a host to more than 15,000 international visitors per year, The House of Israel has become a vital resource for portrayal of Israel’s true past and present and a friendly gathering place for the community. Visitors learn about the diverse faces of Israel, her history, values, demographics and her contribution to the world. 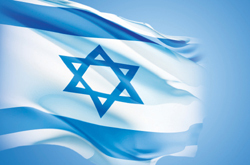 We showcase Israeli culture, history, and innovation, and provide a welcoming environment for our guests. In recognition and celebration of the 70-year anniversary of the founding of Israel, Mingei International Museum and House of Israel collaborate on a retrospective exhibition highlighting the nation’s diverse and lively craft & design. ISRAEL 70 Years of Craft & Design celebrates the art and innovation of the nation’s diverse people through a rich range of objects of daily use. Over 100 objects—including Yemenite jewelry, Bedouin textiles, contemporary garments, sustainable and industrial design, adornment incorporating ancient materials, furniture and ceramics—illustrate the special fusion of European and Arab influences embodied in Israel’s modern craft and design. Coinciding with global recognition of Israel’s 70 years of statehood, this project is the Museum’s first opportunity in its 40-year history to feature the innovative work of Israel’s designers and artists. This original exhibition is organized by House of Israel curator, Smadar Samson, with Mingei International Museum’s executive director Rob Sidner serving as curatorial advisor. A work of art created from matza brought Spring and Passover to the House of Israel. The matza Dead Sea Scroll sculpture sat atop the House’s permanent stone rendition of the Dead Sea Scrolls to offer a seasonal aspect to this historical symbol of the Land of Israel. 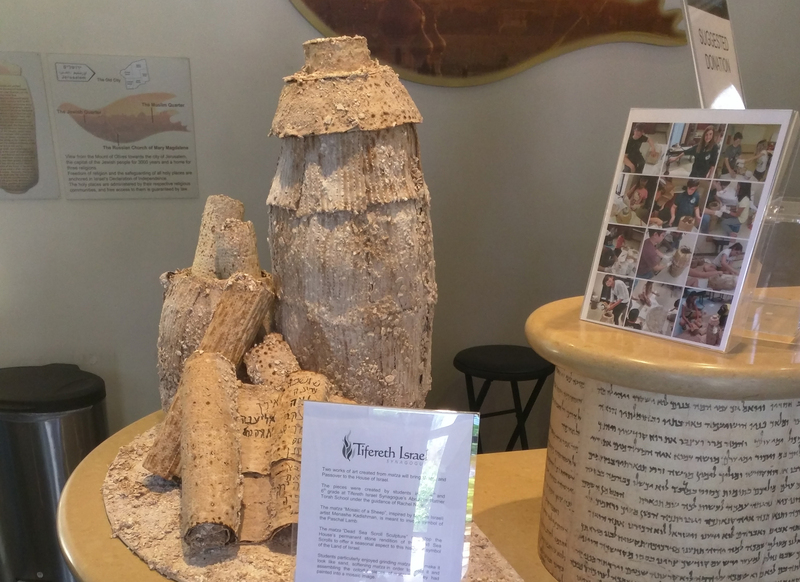 The pieces were created by students in 2nd-4th and 6th grade at Tifereth Israel Synagogue’s Abraham Ratner Torah School under the guidance of Rachel Naor. Students particularly enjoyed grinding matza up to make it look like sand, softening matza in order to mold it and assembling the colorful pieces of matza that they had painted into a mosaic image. Dead Sea Scroll is exhibited each Spring in celebration of Passover. 3. Sign up! Choose your spots – you will receive an automated confirmation and reminders. Easy! Note: Signup.com does not share your email address.